Screenshot: (under spoiler) it is recommended that you use the configuration data, more or less powerful computer configurations. do not forget to include the server and change the key grip, the game client, with RMB. Just recommend game technology to LVL 8, inclusive, to include the function of "complement the percentage of training on armor". At higher levels, it is better not to use this feature, in my opinion. 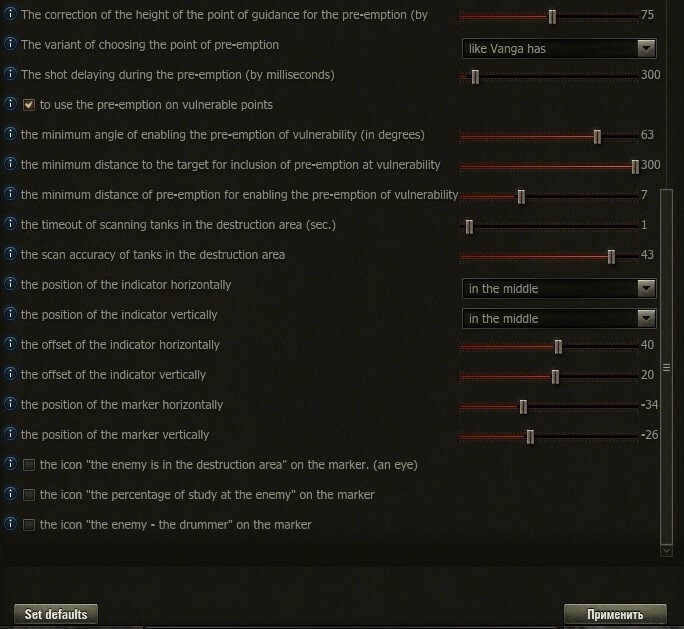 Parameters influencing the search frequency FBS vulnerable points-consider when targeting neighboring tanks-tanks scan timeout in the affected area-accuracy scan of tanks in the affected area If will continue, "curl" one of these options. 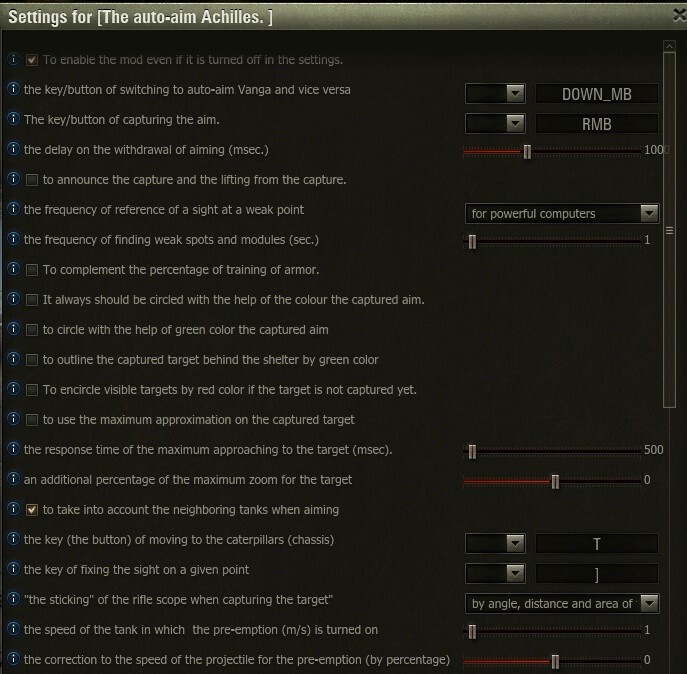 A description of the parameters, you can read it by opening the settings window the sight and pointing the mouse on the circle to the left of the parameter. Re: Achilles. Questions and discussion. when did achilles come back?